Home > Homeware > Non-Stick Paella Pan. 32cm. 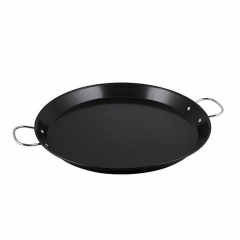 This 32cm paella pan is made of quality carbon steel, with an extra wide flared edge. This pan has a non stick coating making cooking a breeze.